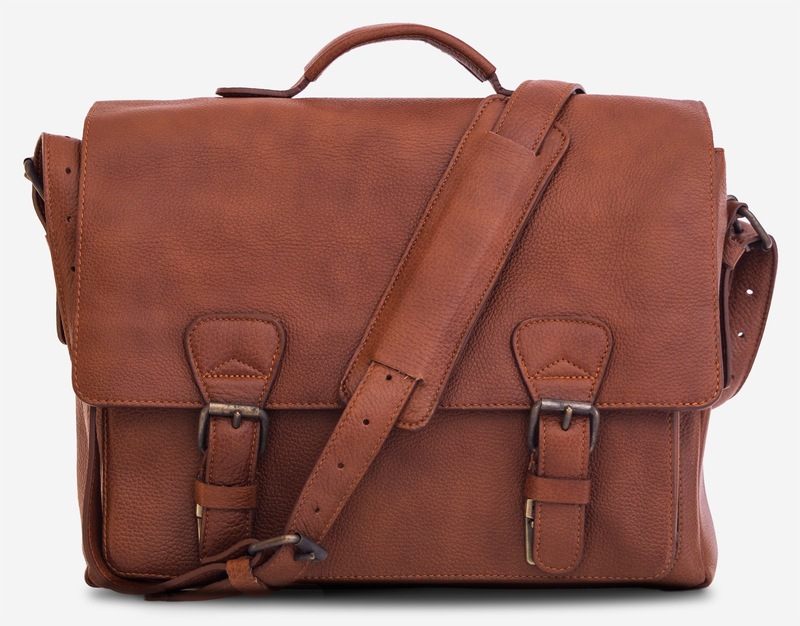 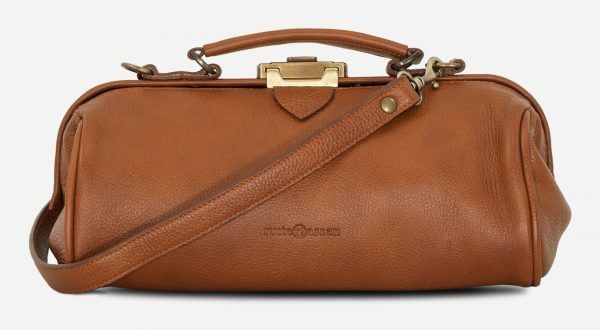 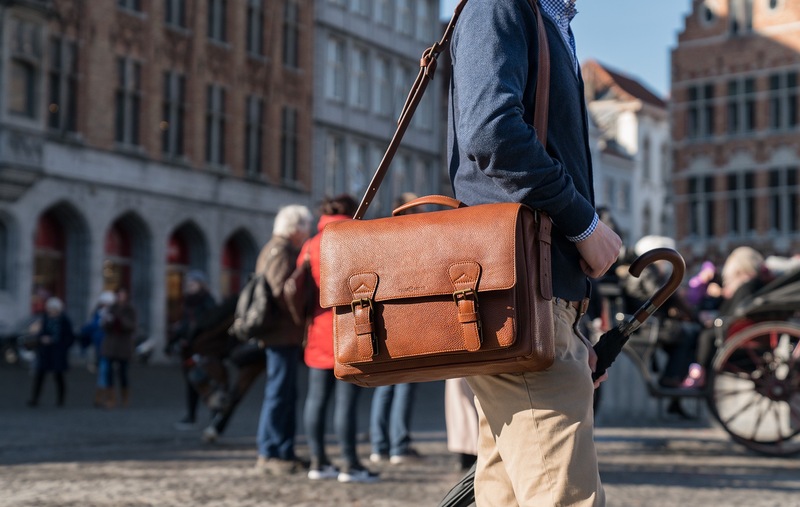 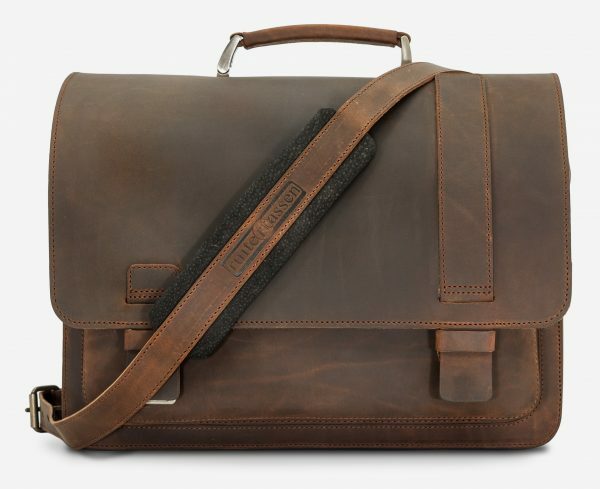 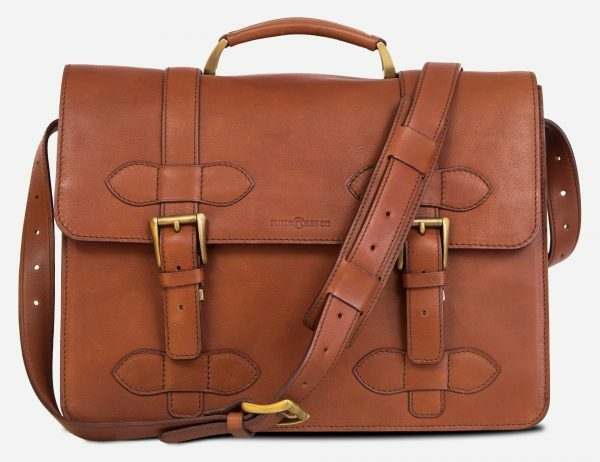 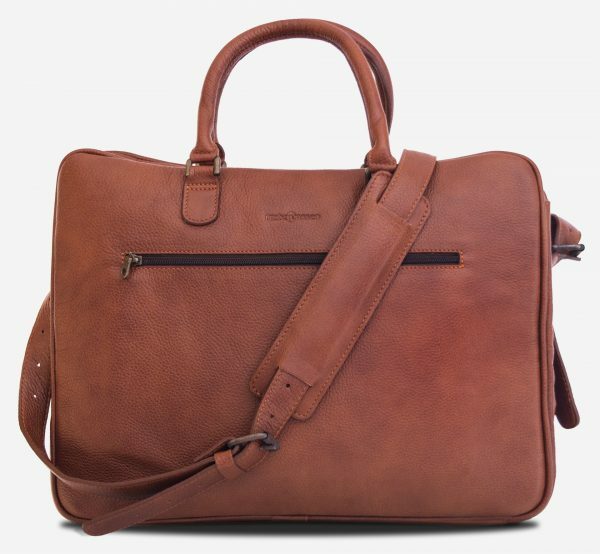 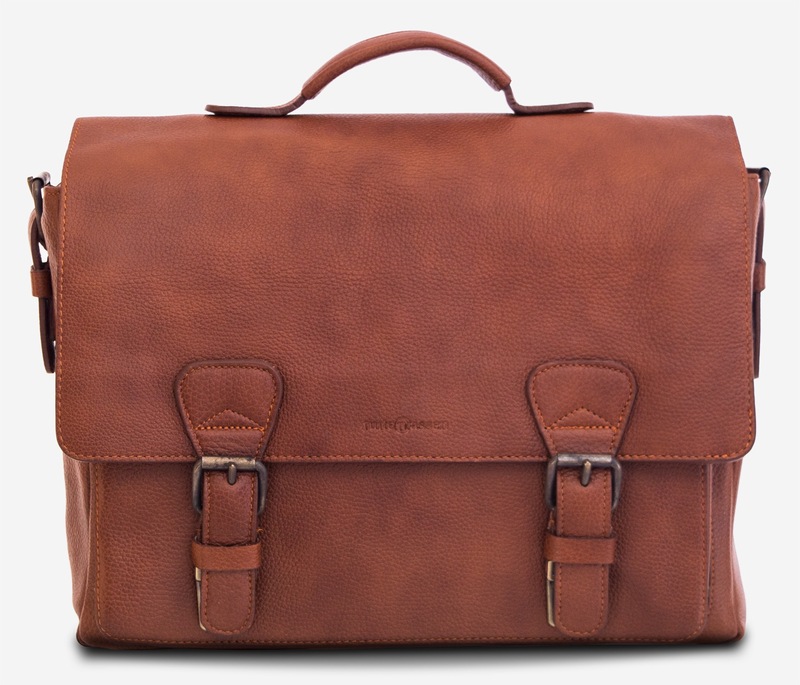 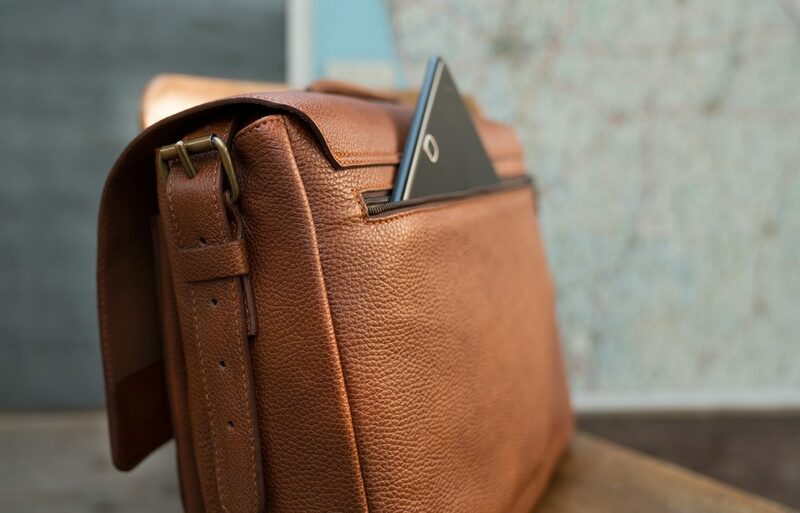 The Reporter is handcrafted with a brown pebble-grain leather from Italy. Designed with solid push locks hidden behind the adjustable buckles that makes it easy to access essentials. 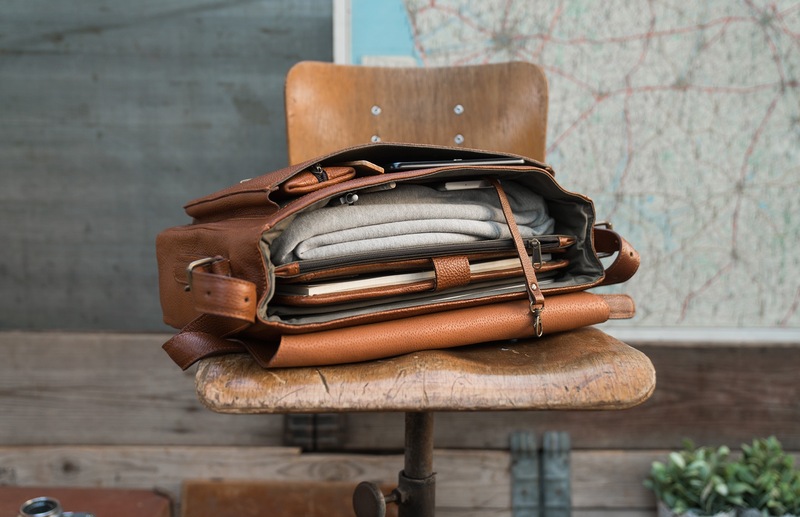 Fully lined in tear-resistant olive canvas for added strength, it features a capacious dual-compartment interior and slip pockets to organise your accessories. 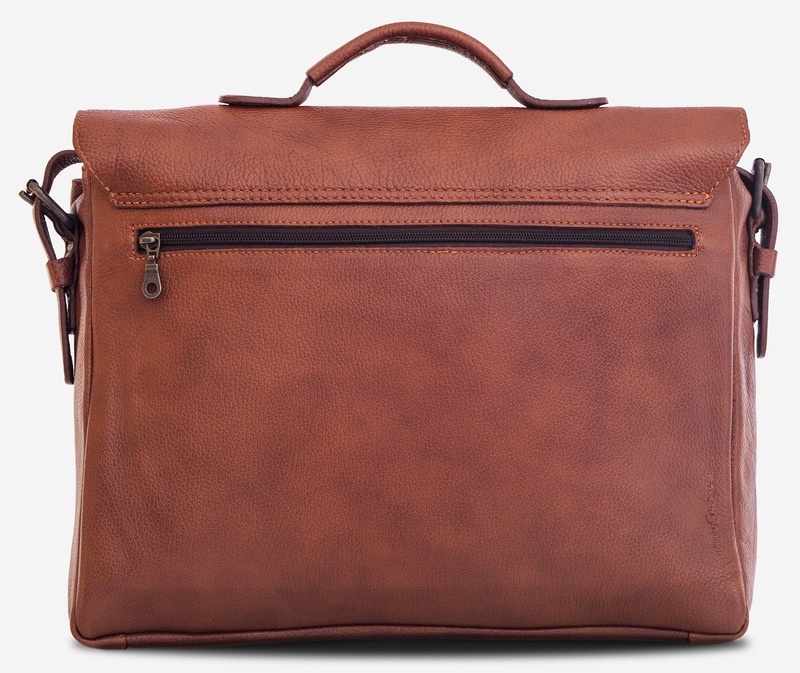 Store confidential documents in the divider zippered pocket and your 13” laptop in the padded pocket. 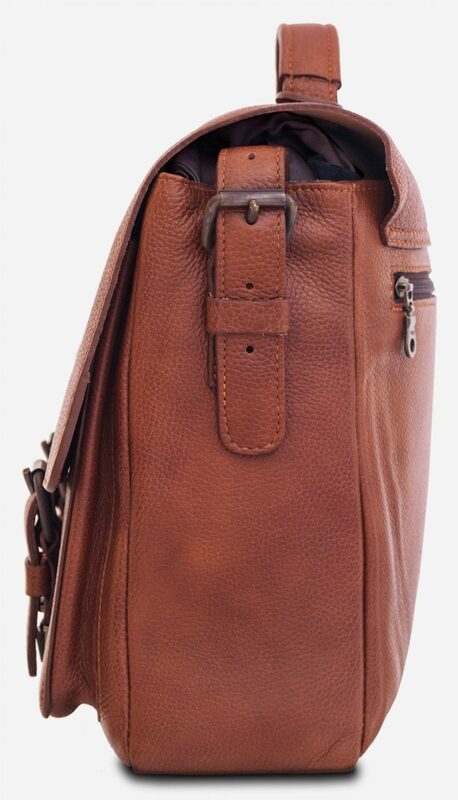 You will also find a handy key leash inside in the front compartment. 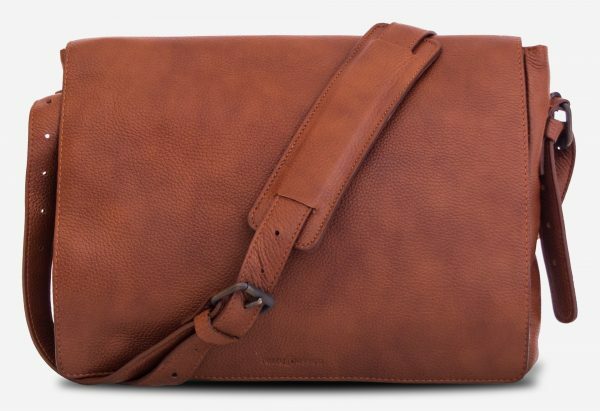 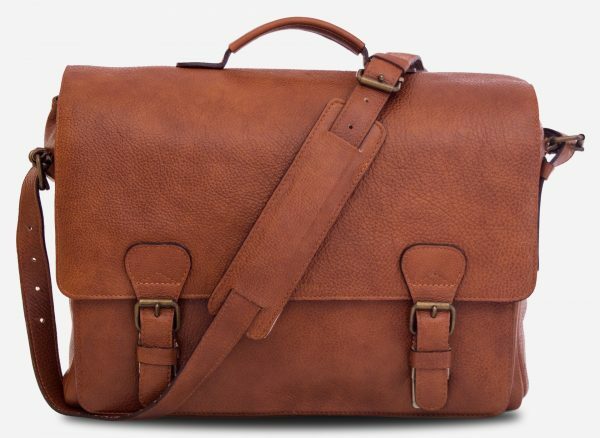 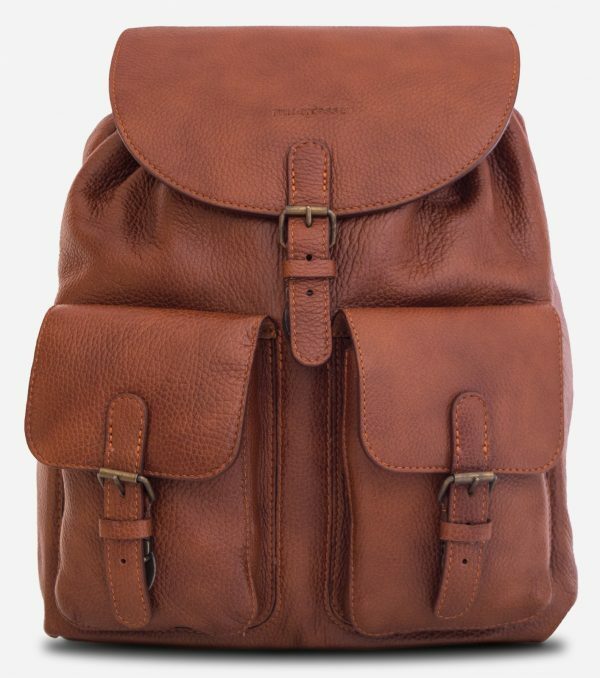 Its soft and tactile leather make it an ideal everyday bag for men.